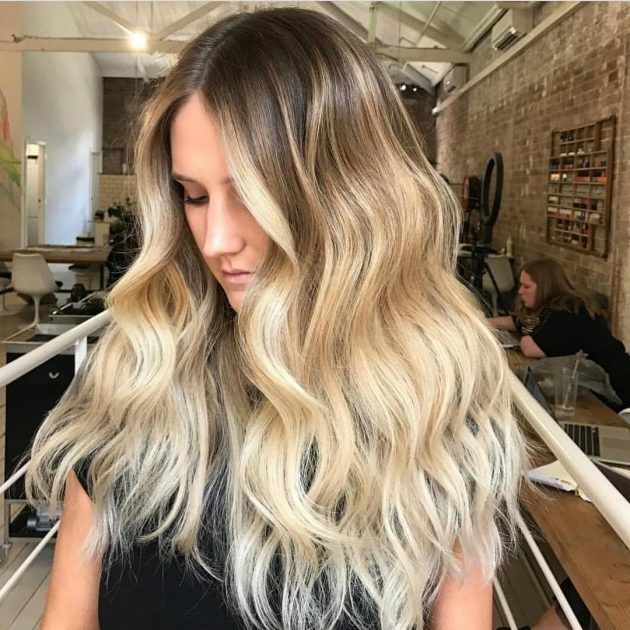 Blonde ombre originates from a French word meaning ‘shade’ or ‘shadow.’ It is a technique that involves gradual transitioning of one colour to another from top to bottom. This is one of a common technique of shading your hair currently. Many people often confuse it with balayage. 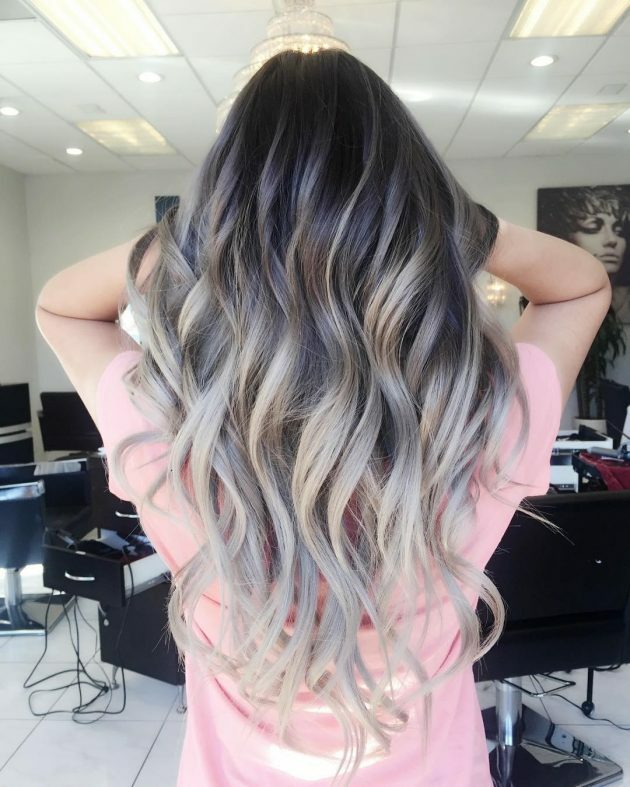 Balayage is a technique of colouring hair. 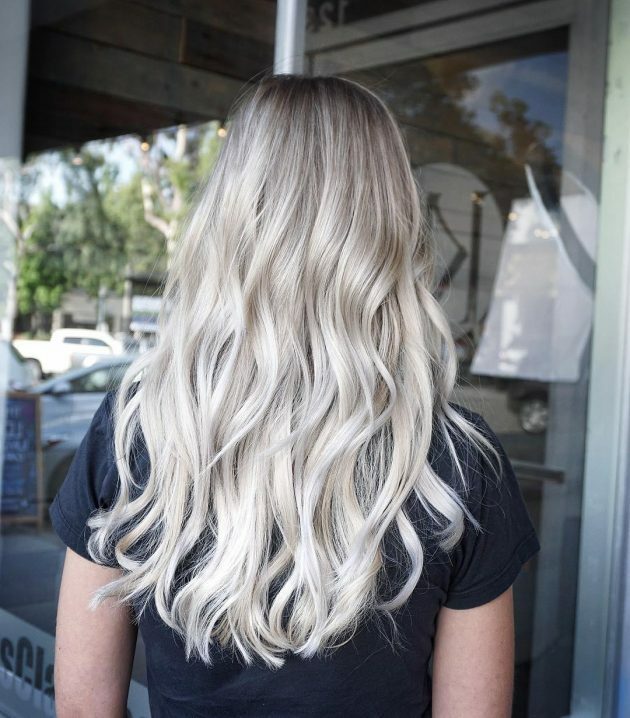 If you have been looking for the coolest and stylish ombre hair colour ideas to pull off this summer, scroll down to learn more from this classic collection of most hottest and trendiest blonde ombre colour ideas. This is a blonde ombre haircut for women with short hair. It is styled by adding subtle brown on the top of the head and some blonde at the base. For an upgraded style, have a small spot at the bottom at the rear head. This is what is called peekaboo highlights. This is a sure-fire style for ladies looking for a classic short haircut to make a definition. Just as the name suggests, this hairstyle incorporates four hues in one-blue, black, silver and brown. This is an ideal style for badass ladies. You are not restricted to blue only. The options are limited. You can choose your best hue to replace the blue colour. However, blue is such a shade that gives you a freeing feeling. This is a blonde ombre bob haircut with bluntly chopped bangs. These days, gray hair is not left for old grannies only. It has become one among the most common and trendiest hair shades for both young women and men. Opt for this dark grey on the top and transform it to light gradually as you approach the bottom. Amp it up and pair it with some beautiful bangs. You will achieve the greatest edginess than ever before. A fascinating ombre look because it does not look standard ombre style thanks to its heavy curls. But this is an ideal haircut for you because sometimes you want to look unique. Get the layers trimmed in varying lengths and curl them at a different length. You will get this beautiful unique look that will help you stand out from the crowd. Every Hollywood fanatic knows about Kylie Jenner, and many women crave to imitate her whole look from her clothes, makeup and much more, her hair. Her black on blue hair is her favourite look and most common. So, if you love her, this could be the best hairstyle to consider copying. Anyway, black and blue colour combination is a great colour combo and amazing. This is an African American short hairstyle idea-one of the trendiest straight bob cut right now. This style doesn’t use such vibrant colours at the ends, rather uses natural hair hues. The highlights at the ends are similar to blonde peekaboo accents that add some wow to your entire style. This is a single length, shoulder length haircut incorporating a middle parting of the hair that is also super low maintenance. If you want an enhanced boldness, opt for a different version of fiery blonde ombre. This one features lots of dark purple-red and subtle orange at the ends. The transformation of this blonde ombre is perfectly styled to the extent that it doesn’t appear like an ombre. The ombre style appears more like it is in the inside than the outside. This is obviously an excellent way to make it light in case you are working or living in an environment that having hair with one colour is mandatory. If you are a millennial, you might not recognise this hairstyle. However, for those who grew up in the early ‘90s, you can testify this was the most popular and trendiest hairstyle at the time. Many curls appear like an indent rather than a standard luscious and round curl. This is the same thing, except it appears much better now. Create this style by the use of big curling iron and hold two sections and wrap them around once at the middle. Hold it with hairspray. This beautiful ombre looks like a standard brown and blonde Ombre, but by looking at it closely, there is some blue emanating through it. This is an excellent way to add some shade to this style that is not obvious. Take come tresses back to give this style some style upgrade. Hold it intact with hairspray so to stop it from swinging back and forward. This style of dark to blonde is achieved through three different colour shades-blonde, dark brown and middle brown. Throw in some curls on the style to get something pretty and romantic. To have even more amazing curls, curl some out and others in. To achieve this style, add small curls to the bottom half of your blonde ombre hair and then curl them outwards. Bangs are also trendy right now, so trim the front tresses bluntly and in one length fringe. You will have a beautiful haircut that is ideal for a coffee date. 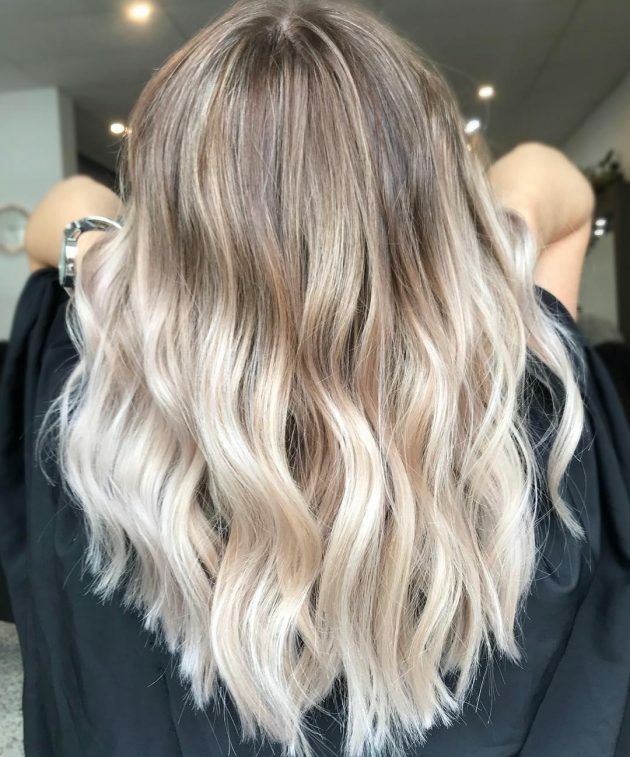 If you are seeking for a better way to add a special hue to your standard brown and blonde Ombre, and pink colour at the ends, then this is the right hairstyle to go for. It is beautiful, chic and a superb way to add special colours without compromising your style. This colour idea is lighter than the other colours. This hairstyle features less brown and darker colour at the roots.